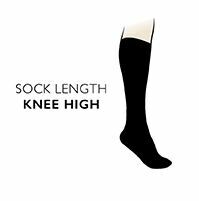 Made in the UK for warmth and protection during snow sports of all types, Bridgedale All Mountain MerinoFusion Midweight Ski Socks are long leg multi-use wool blend winter socks with a full terry knit-looped, pressure and impact-resisting cushion lining. These merino wool-based socks are recommended for skiers, snowboarders or any snow sports enthusiasts, incorporating Bridgedale’s trademark MerinoFusion SKI technology to deliver superb insulating properties and next-to-skin softness. The merino and specialised technical fibre construction rapidly transports moisture away from the skin while allowing fresh air in, so legs and feet remain dry and comfortable while you enjoy the snow.